Here at Gift And Wrap we are delighted to present to our customers the PANDORA Spring 2017 collection which is full to the brim of delicate pieces, carefully created in tune with the PANDORA signature style. Let’s take a look at the lovely pieces of ladies jewellery on offer in this recent collection from our favourite jewellery brand PANDORA. 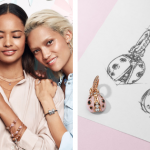 This season our best selling jewellery brand PANDORA want to encourage you to take on a ‘DO attitude’ and express yourself with their latest range of rings, charms, earrings, bracelets and necklaces. Embrace the vibrant colours and stunning effects in the radiant new collection for spring from PANDORA. Synonymous with spring, this collection features beautiful floral jewellery that is the perfect seasonal update for your jewellery collection. Pretty daisies and magnolias take centre stage as the main embellishments featured on the new PANDORA charms, with accents of light pink combined with tiny cubic zirconia stones set in sterling silver. It’s a trademark PANDORA look and we love it! The Ring of Daisies is a wonderfully subtle spring jewellery look, whilst the Dazzling Daisies necklace with two daisy pendants would look fabulous worn on a night out. Update your existing PANDORA charm bracelet with a brand new spring inspired charm. From flowers to love hearts to charms suitable as wedding gifts, there will be something for you in this range! We just love the PANDORA Murano glass charms which are a precious injection of colour for a charm bracelet, whilst the floral details brings the finish into spring. The PANDORA floating lockets are a great way to express your personality due to being able to choose which small charms to include inside the locket. 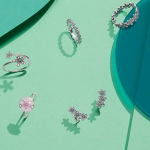 In this spring PANDORA jewellery collection there are some excellent additions that we think you’ll be excited to add to your existing floating locket. 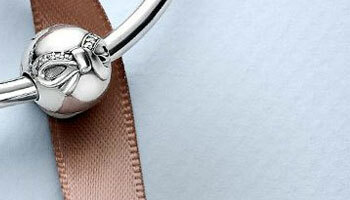 The PANDORA petites locket charms come in threes, ensuring you have a set of charms ready to pop inside your locket! We stock all of the PANDORA birthstone locket charms which come with a beautiful sterling silver heart, cubic zirconia encrusted charm and a synthetic representation of each birthstone. There’s also a super summer inspired trio of floating locket charms which feature various flower designs as part of the Poetic Blooms set. 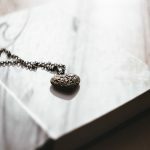 Those born in April and May can express their true colours with their PANDORA birthstone jewellery in stunning emerald green and simplistic rock crystal available in drop pendant charms. The perfect gift for those born in April and May is the PANDORA droplet gift sets which offer matching earrings and necklace set with the corresponding birthstone. In typical spring fashion, the rose gold coloured metals are ever present in this wonderfully feminine PANDORA Spring 2017 collection here at Gift And Wrap. In a fabulous combination we see sparkling cubic zirconia stones set in elegant rose gold coloured jewellery for a unique finish. Add a rose gold coloured charm to your PANDORA charm bracelet as a stand alone piece for a pop of glamour, or create an entire rose gold coloured inspired bracelet for an on-trend jewellery look. The rose gold coloured women’s jewellery in this range includes stunning timeless stud earrings, love knot rings and pendant charms. 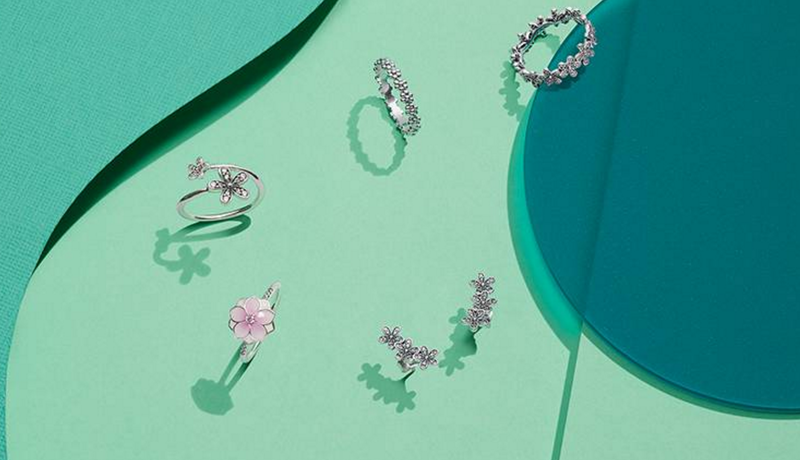 We hope that we’ve piqued your interest in the amazing springtime jewellery on offer in the impressive PANDORA Spring 2017 Collection available here at Gift And Wrap. Get your seasonal refresh by purchasing your next piece of jewellery with us and enjoy free delivery with your order!